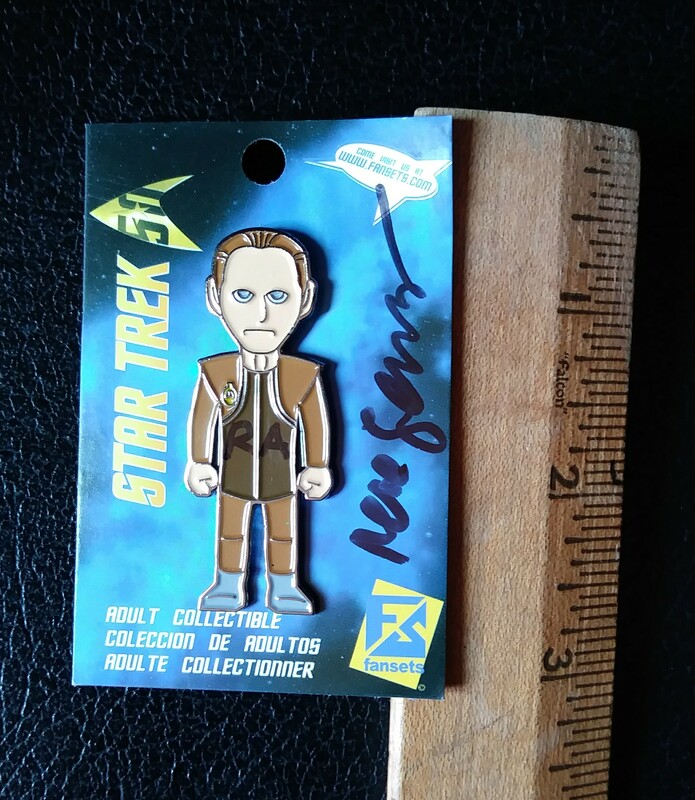 Here is a special little item for those who would like to lend their support to the humanitarian work of Médecin San Frontières/Doctors Without Borders and celebrate their appreciation of Odo! The talented and generous people at fansets.com donated a number of these pins to René for him to use in his charity fundraising. René has signed the body of each pin with his initials and autographed the backing card as well. Would you like one for your very own, or as a gift for a friend? Please send $25 to have it sent to a U.S. address (US$30 to other locations): as always, after shipping costs, the rest of your money will be donated to MSF/DWB.